Can Uber Drivers Collect Workers Compensation? You may recall a news story last year involving a 32 year old Uber driver who was working a late night shift in Los Angeles. When his SUV full of passengers arrived at Hollywood Tower apartments around 2:30am, two of the riders refused to leave his car. They argued and Omar, the Uber driver, said that one of the passengers hit him with a shiny object breaking his jaw and requiring a week of hospitalization. With thousands of ride-sharing drivers earning income in hundreds of cities across the U.S., Omar is not the only worker to find that driving comes with the a very old risk; on-the-job-injury. In another city, an off-duty Boston cop assaulted his Uber driver, yelled racial slurs and stole his car. Back in LA, an enraged taxi cab driver stabbed an Uber driver in the face and neck. A San Francisco passenger attacked his Uber driver landing him in the hospital with facial injuries. A Lyft passenger punched his driver and broke his nose. last May. Two damaged teeth, one surgery and a week-long hospital stay later, Omar, is stuck with sky-high medical bills and limited options. His only source of income is driving for Uber’s high-end Black and SUV platforms. He believes Uber should help pay for some of his bills since he was hurt while on-the-job, earning Uber commission money. But as an independent contractor, just like almost all workers in the sharing economy, Omar isn’t entitled to workers’ compensation, which is designed to pay for work-related injuries & lost wages. To make matters worse, he did not have personal health insurance, despite Obamacare’s individual mandate. Unlike employees, independent contractors are mostly free to set their own hours, pick their clients and control other aspects of their work. In exchange, if they get hurt while working, whatever the reason, they’re on their own. Some sharing-economy workers are experienced freelancers, but many may not realize the full stakes of the trade off. Workers Compensation in the new “Sharing Economy”. Omar had reason to believe Uber might pay. Many American taxi drivers are independent contractors yet still get workers’ compensation. Taxi drivers have always faced violent work environments (federal stats show they’re 21 to 33 times as likely to be killed as other workers). 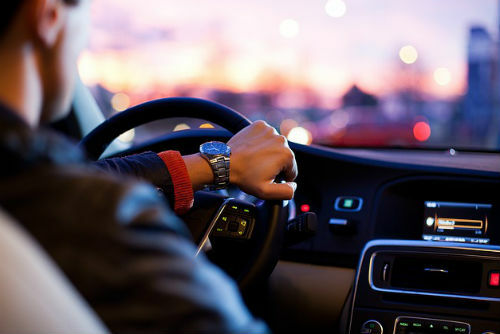 Though ridesharing apps eliminate handling cash, others remain: working at night, working alone and with drunk people. Some companies understand that providing workers’ compensation insurance to independent contractors could make them look like employees, giving fuel to lawsuits. But many attorneys say that it would not be a major factor. Courts still look largely to how a company controls a worker, not to whether it provides insurance. Workers’ compensation could even protect companies when a worker gets injured. Structured correctly; the company agrees to cover on-the-job injuries, while the worker gives up the right to sue the company, so the damages they can collect are capped. If, for example, Omar or an attorney were able to show that Uber had been negligent by assigning him a known violent passenger, he could sue for an unlimited amount. But in other ways, workers’ compensation doesn’t make sense for independent contractor workforces. It traditionally covers lost wages, which would be difficult to determine for contractors who set their own hours. What about workers who have income from several platforms but are injured on one and unable to work at all, or people whose on-the-job hours aren’t clear, like Airbnb hosts? Peers, a sharing-economy marketplace, recently started offering Airbnb insurance that includes lost-wages protection, but it’s clear that standard workers’ comp doesn’t quite fit into a quickly-shifting sharing economy business model. ​ More and more workers will need to get their benefits outside of traditional jobs, said Peers executive director Shelby Clark. He thinks work and benefits will eventually decouple, just like pensions did a generation ago.